I think that the Ghibli was made from 1966 to 1973. Ruote Borrani make a selection of wheels mostly 6.5X15 & 7X15 (and they also do 7.5" but i think that mighty be a bit more "special build"). I'm struggling to find any accurate reference, but i know that some of the later cars came out fitted with 215/70VR15 tyres, But i don't know whether it was Michelin or Pirelli and i don't know what date they changed over. My guess is 1972. 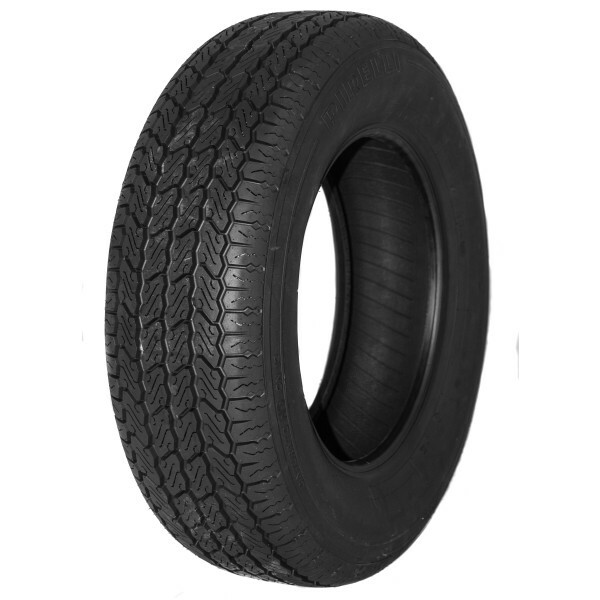 I know that the 215/70WR15 PIRELLI CINTURATO ™ CN12 came out in 1971. That one is easy. QUESTION 2 - When the Ghibli did change to 215/70VR15 tyres was it Michelin XWX or Cinturato CN12 (there is a slight possibility it could have been Cinturato CN36, But i don't think so). QUESTION 3 - Did they at the same time change from 6.5X15 Borrani Wheels to 7" wheels? On the subject of size 215/65R15 and 205/70VR15 they are completely the wrong size. And you should not fit inner tubes in 65% profile tyres. And wire wheels need inner tubes. The picture below shows the correct original 205VR15 Cinturato CN72 tyres that the earlier cars left the factory with. it is still being made by Pirelli, we are shipping them all over the world and the quality is excellent. (if you buy them on line the shipping is excellent value, most places it is free, but we can even ship a set of 5 tyres to places like Australia for only £ 150 and when you think how big they are that is pretty good value. or you can buy them from Stuckey Tyres in Aus). The tyre on the right is a 215/70VR15 XWX, again no doubt an excellent tyre, i would think that currently these are probably the most popular classic Masser tyres. The tyre on the left is a 205/70VR15 XWX, showing that because the side wall height is only 70% of 205mm instead of the 80% that is the 205VR15, the there is 20mm difference in radius (25.4mm - 1"). making the diameter nearly 2 inches smaller.